Marinating your steak before cooking it is a sure way to get the most flavor from it, and have it come out as tender as can be. 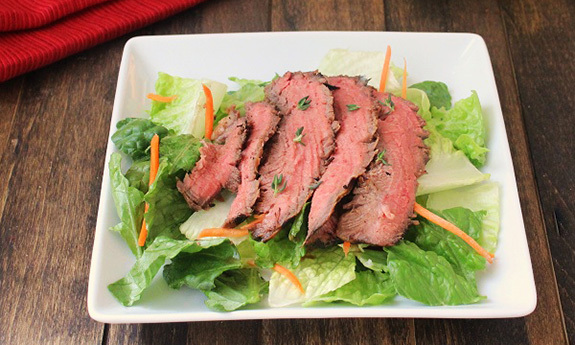 The trick is using a steak marinade that only includes Paleo friendly ingredients and does away with anything containing gluten or refined sugar. 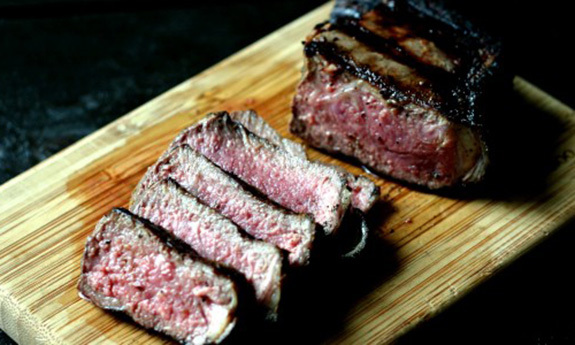 Using citrus fruit in your steak marinade helps to tenderize the meat from the citric acid. It also adds delicious flavor and some nutrition as well. Here they’ve gone with a blood orange and limes for the citrus, and brown mustard and vinegar for even more flavor. 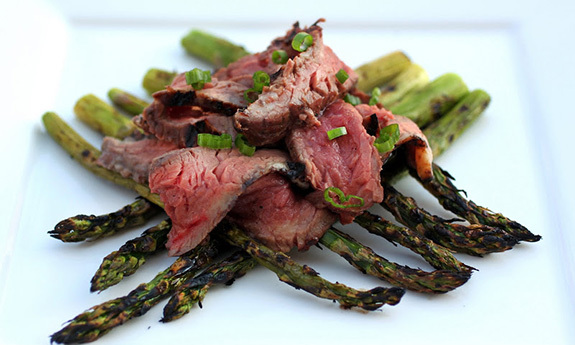 They’ve chosen to use a flank steak, but this marinade would work well with whichever cut you go with. Just remember to opt for grass-fed beef so you can be sure that your meat is not laden with antibiotics and growth hormones. 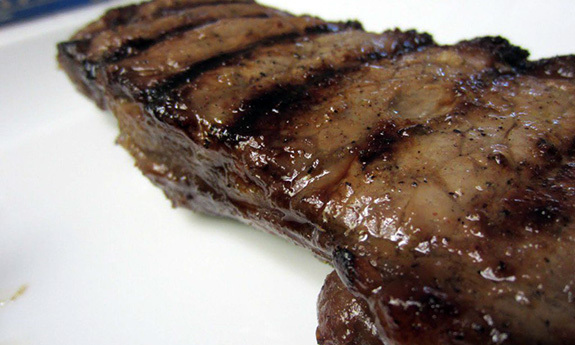 Balsamic vinegar does two things for your steak, the acidic vinegar helps to tenderize the meat, and the balsamic flavor permeates the meat and gives its distinctive taste to each bite. In this marinade the balsamic vinegar is just one of the ingredients that you’ll taste in the steak. There’s also spicy brown mustard, which is going to provide a bit of a kick and clear your sinuses. Holding it all together is olive oil, which will add a bit more flavor to the steak as well as healthy fat. 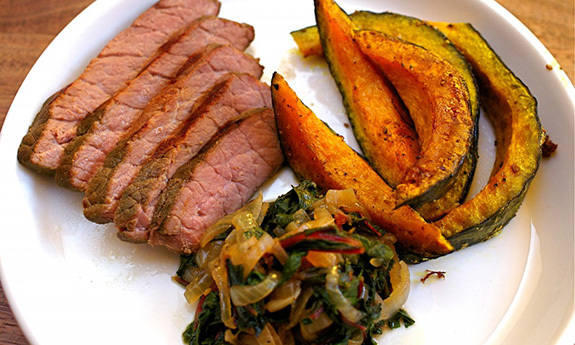 A bit of dried parsley finishes things off, and you end up with the perfect Paleo steak marinade. 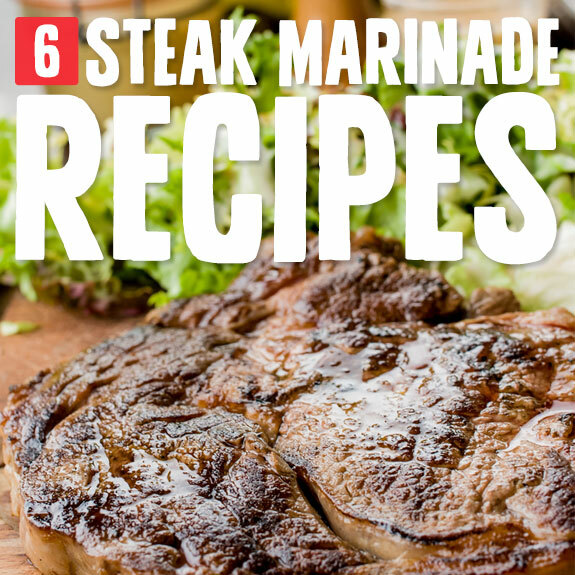 When choosing which steak marinade to go with, you should take a moment to see what you’re in the mood for. If you’re looking for a bit of sweetness to go with your savory steak, this is the one to choose. It gets its sweetness from apple juice, and its savoriness from cinnamon, garlic, and onion. Just make sure when you’re picking out the apple juice concentrate that it doesn’t contain any added sugar. They say you should let the steak marinade for 8 hours, which is sure to infuse the meat entirely with the juice and spices. Here they’re using coconut aminos, which you’ll often see on Paleo recipes as a substitute for soy sauce. 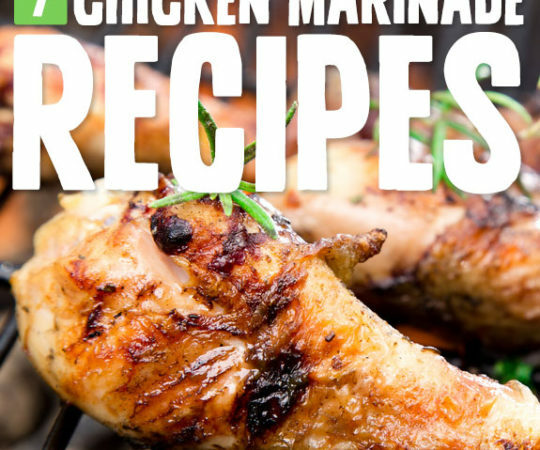 Lemon juice, garlic, and ginger are the basic foundation of this marinade, and all of these ingredients have been time-tested for years as being very effective at both improving the taste of a steak, and serving as a quality marinade. 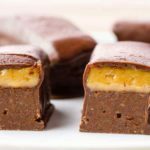 This recipe happens to be from someone on the Whole30 program, which is similar to the Paleo diet but more strict, so you know it’s Paleo friendly. This marinade has a bit of mediterranean flair to it, with the use of olive oil, garlic, and balsamic vinegar. They’ve chosen to use New York sirloin for the steak, and on Paleo you can pretty much enjoy all cuts of beef, as long as you opt for high-quality beef, preferably grass-fed. 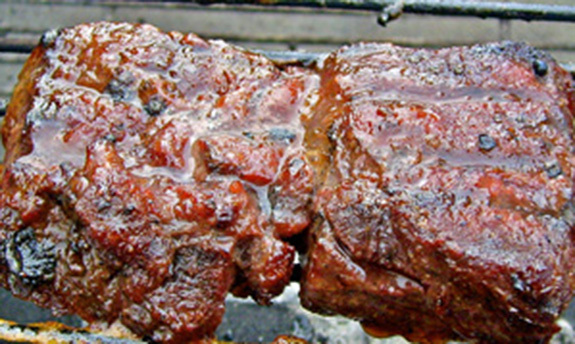 Many conventional marinades use soy sauce, but on Paleo soy sauce is not recommended, so they’ve used coconut aminos as a suitable replacement. They say you can let the steak sit in the marinade for an hour, but the longer the better up to a day. 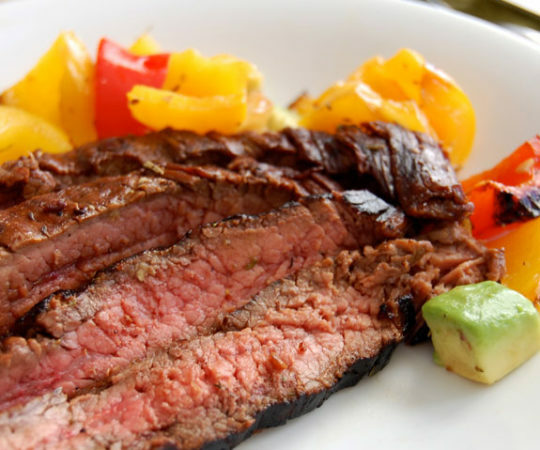 This steak is going to bring you plenty of flavor, and the marinade is made from a wheat-free soy sauce, so it will be gluten-free as well and should conform to the Paleo diet. The use of vinegar, lemon, and olive oil is enough to get the job done, and there are some other interesting recipes on this page that help you make a complete meal with your steak. They show you how to make roasted beets and kabocha squash, a healthy and tasty squash option. Thanks for including my balsamic marinade!